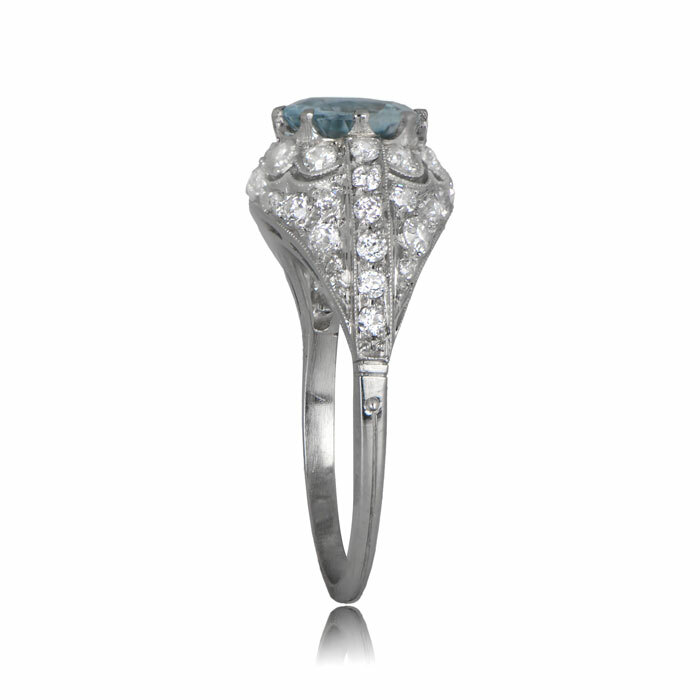 The Tiber Ring features a stunning aquamarine, prong held and adorned by a domed gallery studded with diamonds and accented with openwork filigree. 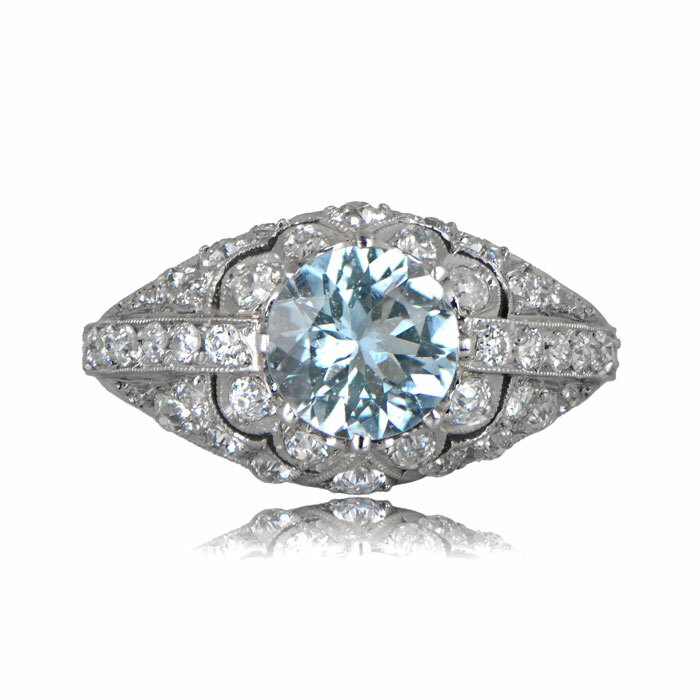 Fine milgrain and diamonds along the shoulders add to the delicacy of this beautiful platinum ring. 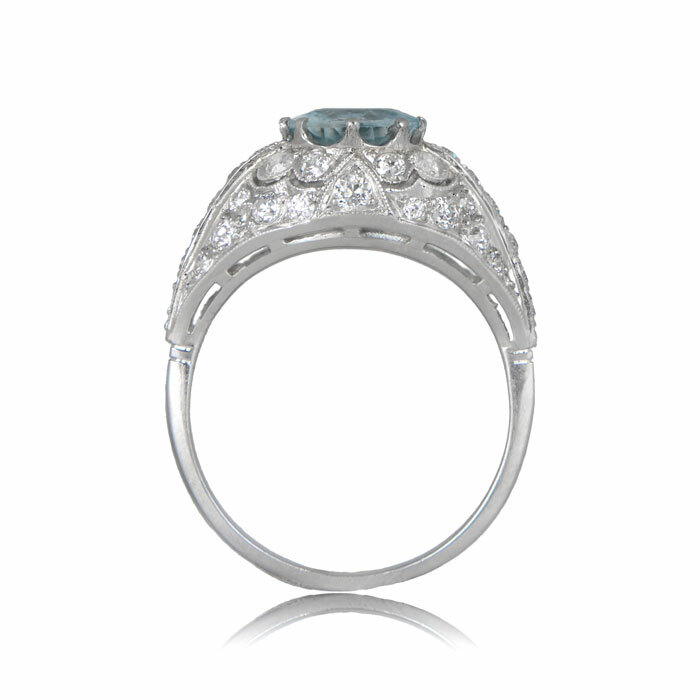 The center aquamarine weighs 1.02 carats. 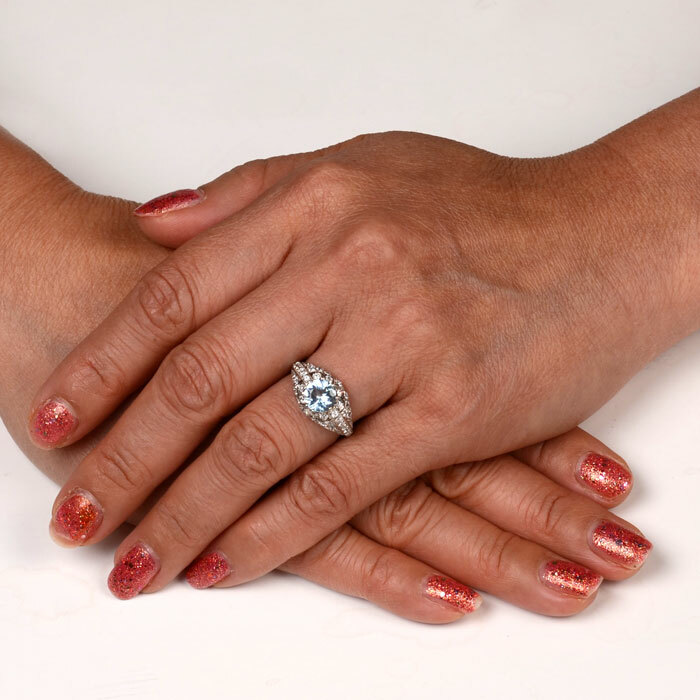 This ring was handcrafted circa 1930. 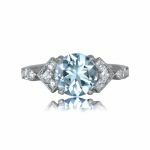 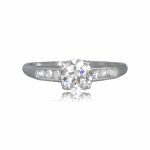 SKU: 11783 Categories: Aquamarine Engagement Rings, Vintage Engagement Rings - Contact us and request additional pictures.